I need to start this blog by telling you 2 things – firstly, it has always been my dream to visit the UK and secondly, I have never been outside the country. All I wanted to do was book my tickets and enjoy my vacation, but there was one thing holding me back. Getting my UK visa. The visa process has always been a little intimidating. What if I don’t have the right documents? How much does it cost? What if my visa is rejected? Questions like these can stop your vacation plan in its tracks. Why go through all the trouble right? The visa process, if understood, is easy, simple and straightforward. 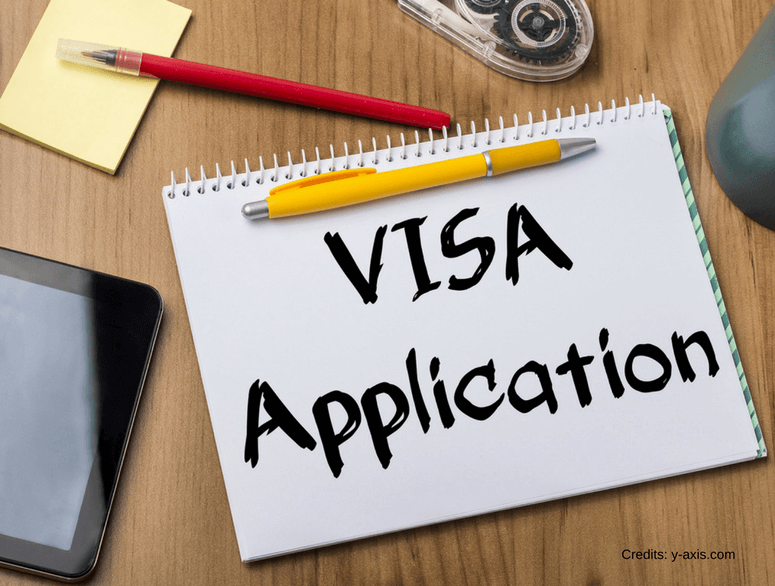 As long as you follow the procedures, fill the application truly and correctly, and provide the right documents you’ll stand a good chance of getting your visa (remember ultimately the final decision rests in the hands of the embassy). When things get difficult, just close your eyes and imagine the sights you’ll see in your dream country. All I had to do was imagine the Big Ben, the castles in Wales, the London Eye, the Loch Ness lake. And if that doesn’t work, then its time to bring in an expert – Thomas Cook. Now that I’ve received my visa, I’d like to share my research and my visa experience with you. We’ll take this visa process step by step – just like I did with Thomas Cook and who knows? You might follow my footsteps all the way to the distant shores of the United Kingdom. So, we’ll start with the basics. What is a UK visa and where does it allow me to go? Simply put, the UK visa gives you access to the entire United Kingdom territory. Perhaps this might seem like an obvious answer. However, take a minute to look at what that means. With one visa, you gain access to four different countries – England, Scotland, Ireland and Wales; countries with long histories, vast territories, multiple cities and different cultures. The UK visa essentially offers you an opportunity to explore all these different areas and experiences. Also, this is the birthplace of Shakespeare and Harry Potter – pretty magical right? Under what circumstances can I apply for a UK visa? Just as your reason differs, so will the type of visa. Based on your requirements, you will need to apply for a specific type of visa. Each of these visas has their own qualifications and documents. What is the UK tourist visa? Under the Standard Visitor Visa, you can stay in the UK for 6 months and extend your visa for 11 months (if you require any medical treatment) or 12 months (for academic research). Who is eligible for the UK Visa? Eligibility depends on the individual – your finances, your circumstances and the degree of truthfulness in your application and the documents you provide the embassy. However, there are some basic criteria that need to be fulfilled. 1. You need to leave the UK after your visit – remember that you will not be granted an indefinite amount of time in the UK. You must leave the country before your visa expires. 3. A Travel Plan – I’ve mentioned above that the UK visa grants you access to 4 stunning countries. So, where would you go first? Which country will you exit from? Where will you stay? Create a travel plan that answers questions like these. A solid travel plan will definitely increase your chances of getting a visa and will also convince the embassy of the purpose of your visit. 4. Visa payments – In order to kickstart the visa process, you will first need to pay for your visa. Luckily, Thomas Cook will give you the price of your visa and multiple options to pay for the visa! How soon can you apply for my visa? It’s always good to apply in advance for your visa, as it gives you time to make your arrangements, get your documents in order and helps you avoid any last-minute panic over your visa. For the UK tourist visa, you can initiate the application process 3 months before you intend to travel. What is the UK Standard Visitor Visa application like? The application can seem intimidating at first glance. However, the questions are simple and to the point. Take your time to fill out the application, as it is a fairly detailed and long one. The advantage of this application is that you can save the details that you have entered and revisit it at any time. Furthermore, when you apply for a visa via Thomas Cook, you’ll have a visa expert who will guide you through the process and alert you to any mistakes made on the form. What documents do you need for a UK Standard Visitor Visa? Documents – a key part of any visa process. As long as your documentation is fine, your chances of getting a visa are pretty sunny. Bear in mind that every visa has a different set of documents and based on your application you may be required to provide additional documents. However, there is a list of basic documents that you need to keep ready when you apply for your visa. Aside from your documents, you will also have to visit the visa application centre to submit your biometrics – fingerprints and a facial scan. The centre will digitally scan all 10 fingerprints and take a digital photograph. What is the Visa interview process like? Once you’ve submitted the application and your documents, its time for the visa interview. This is the final stage of the process and plays a substantial role in your visa approval. However, before you panic, remember that as long as you are polite, clear about your reasons to visit the UK and provide details that match the ones on your application you will be fine. The questions asked by the interviewer are based on the type of visa you are applying for, as well as details in your application. What questions will you be asked for a UK Standard Visitor Visa? It’s hard to pinpoint exactly what you will be asked during the visa interview. There is no standard list of questions. However, there are topics that the interviewer will touch upon. You can prepare in advance for questions around these topics so that you are able to give the interviewer firm, clear and crisp answers. Finances – do you have enough money? Is someone else funding this trip? Have you travelled to the UK previously? You can practice beforehand if you are nervous about the interview. Furthermore, during the interview, make sure you take a minute before answering or request the interviewer to repeat the question if you do not understand. How long will it take to get my UK visa? If all your documents seem in order, the UK Standard Visitor Visa is processed in around 15 days. However, bear in mind that the visa process is different for each applicant. To be on the safe side, try and apply for your visa at least a month in advance. With Thomas Cook, you can track your visa status and get real-time updates on the process – this can ease a lot of the tension of waiting for your visa. So now you have the knowledge you need to start applying for a UK Standard Visitor Visa. But the experience can still feel a little overwhelming – especially if this is your first time applying for a visa, or if you’re travelling alone. That’s where Thomas Cook comes in. When you book your visa with Thomas Cook, they are with you from start to finish – including obtaining a date for your visa interview with the embassy. Furthermore, the entire process is confidential, smooth and guarantees the safety and security of your details. Now that you’ve received your visa, it time to start planning. If you haven’t decided where to go or what to do yet, it’s understandable. It’s hard to decide when the UK gives you so much variety and choice. These are countries that balance long and proud histories and modern cities. If you’re looking to experience a bit of both, check out these cities and castles you can visit in each country in the UK. England: A visit to England is incomplete if you do not visit London. It is one of the most cosmopolitan cities in the world – a place where you can explore art, music, film, food and landmark buildings like the Big Ben, Westminster Abbey and the London Eye. If you are looking at castles, then there’s simply no question about it, you need to visit Buckingham Palace. It is the official residence of the most well-known royal family in the world and is steeped in history. Scotland: Think of bagpipes, lush green hills, old castles and kilts. Scotland is a country with a strong and proud culture, fascinating history and home to a bustling capital city – Edinburgh. There are plenty of cities to visit, and everywhere you turn is a stunning castle. Balmoral, Edinburgh, Dunnottar, Glamis – the list of castles is endless and each a treasure worth exploring. Ireland: Picture the soft shimmer of rain, warm stews, homely pubs, stately churches, dramatic cliffs… there’s magic in the air of Ireland. A country that is both gentle and fast-paced simultaneously. The capital city of Dublin is home to great pubs, enchanting galleries, great nightlife and charming homestays. However, for a touch of Irish history wander over to castles like Kilkenny, Dromoland, Carrickfergus, Harlech castle and more. Wales: If you’re looking for a quiet and beautiful corner to spend a vacation, then Wales is where you should go. There are mountains, beaches, green moors that contrast with charming and busy cities like Cardiff. And the castles… overlooking lakes, standing tall and proud or surrounded by lush forests, these are places you need to see. Check out Caernarfon Castle, Conwy Castle, Cardiff Castle, Caerphilly Castle and more.